This statistic shows anticipated B2B and B2C e-mail marketing expenditure change in the United Kingdom as of 2013. 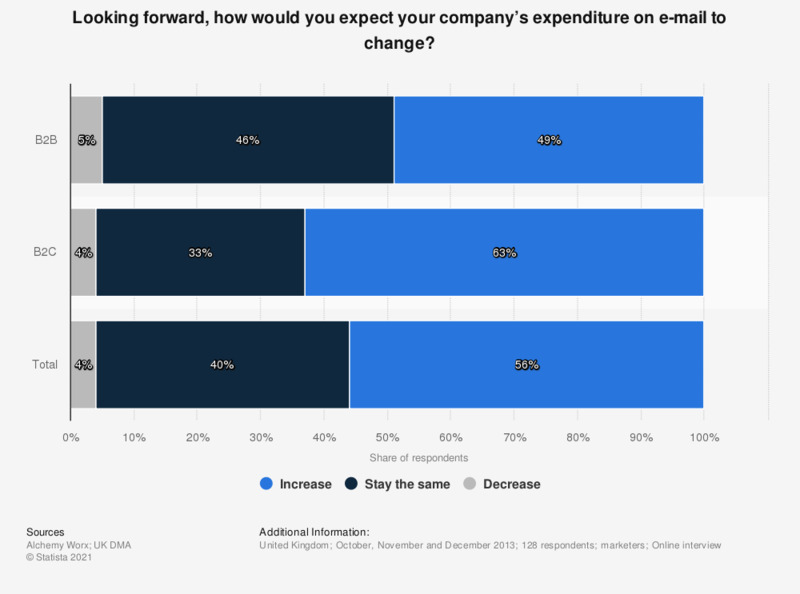 Of B2B marketers, 49 percent reported expecting an increase in e-mail marketing spending. How important is e-mail marketing within your business strategically?